Who has the best record of predicting the winners of the American Library Association’s Newbery and Caldecott Medals? For my money, it’s Elizabeth Bird, a children’s librarian for the New York Public Library who writes the popular Fuze #8 blog for School Library Journal. 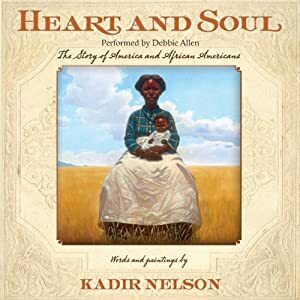 Bird has posted her annual midterm report on books she considers frontrunners for the awards here and should have another roundup of the 2011 candidates near the end of the year. I haven’t written about board books for a while, in part because the good ones seem to be getting rarer: More and more, these books for babies and toddlers rip-off bestsellers for older children instead of doing what they alone can do. But in today’s Wall Street Journal Megan Cox Gurdon writes about a series that suggests the unique potential of the medium: Julie Appel and Amy Guglielmo’s “Touch the Art” line, which began with Brush Mona Lisa’s Hair. “Each book features well-known images adorned with appealing, touchable gimmicks,” Gurdon writes. 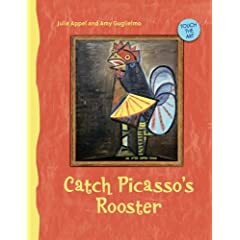 The latest is Catch Picasso’s Rooster (Sterling, 21 pp., $12.95), which invites children to stroke things such as a red-feather comb and the cat in Henri Rousseau’s The Tabby. You can read Gurdon’s review here. The publisher’s site has more on other books in the series, including Count Monet’s Lilies. 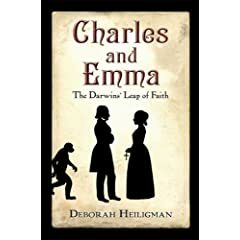 Deborah Heiligman’s captivating dual biography of the Darwins, Charles and Emma (Holt, 268 pp., $18.95), is one of the best young-adult books I’ve read since launching this site. This finalist for the 2009 National Book Award for young people’s literature lacks the problems of last year’s winner, What I Saw and How I Lied, among them a clash between its third-grade reading level and its sophisticated content. Good as it is, Charles and Emma isn’t a shoo-in: It’s up against books that include Phillip Hoose’s Claudette Colvin: Twice Toward Justice (Farrar, Straus & Giroux, 144 pp., $19.95), the true story of a 15-year-old whose refusal to give up her seat to a white passenger helped to integrate the buses in Montgomery, Alabama. I haven’t been able to put my hands on a copy, but I admired Hoose’s Perfect, Once Removed (Walker, 2007), a memoir of the October when his cousin Don Larsen pitched a perfect World Series game, and I hope to say more about both National Book Award finalists soon.